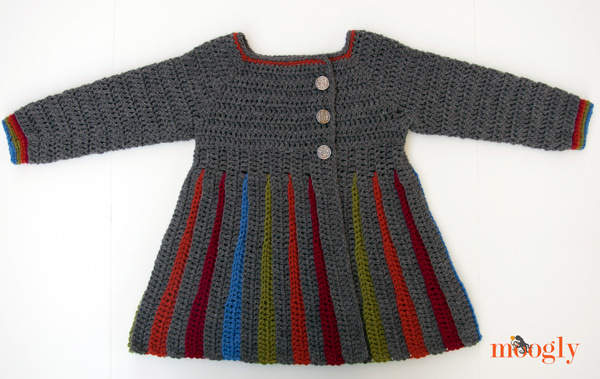 Free Pattern: Eloise Girls Sweater - now for big kids! The Eloise Baby Sweater was a big hit – and quickly became the Eloise Baby and Toddler Sweater, with sizes from 6mths to 3T. But there were requests for Girls’ sizes as well – and at long last they’re ready to go! I’m sharing the Eloise Girls Sweater as a new pattern, because (as you know) girls have different proportions than toddlers – longer and leaner overall – and I needed to rework several sections of the pattern. Trying to tack them on the old pattern would’ve been unreadable! 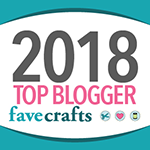 I used the standard sizing measurements put out by the Craft Yarn Council, so a Small in this pattern is designed to fit size 4/6 with a chest measurement of 25″; Medium or 8/10 should fit a child 28″ at the chest; Large or 12/14 should fit a child with a 31 inch chest. Of course, going up a size if it’s close is advisable, since they’ll want to wear a shirt underneath, and you want your garment to fit as long as possible! And it’s easy to customize – if the child is short-waisted but has long arms, drop a row or two from the yoke section (before the armpit row) and add a couple extra rows to the ends of the sleeves. If they child is tall and very thin, add some extra waist rows to a smaller size. If the child has a significantly larger chest than the sizes offered, make enough skirt rows to fit around the chest and then adjust from there. You can figure it out, I’m sure! Sizes in the pattern are written as S 4/6(M 8/10, L 12/14) – when only one number is shown it applies to all sizes. Rows 11 – 82(90, 102): Repeat Rows 7 – 10, alternating between colors B through E for the Row 7-8 repeats. Do not break Color A. NOTE: For size 4/6 there will be 20 color B – E inset/stripes, for size 8/10 there will be 22 insets, and for size 12/14 there will be 25 color insets. Moving to the waist: turn the skirt 90° so that you are crocheting across the all-Color A, or shorter edge of the skirt – this side becomes the top of the skirt. The WS is facing you. Row 8: CSDC, dc in the next 7(8, 10) sts, dc3tog, dc in the next 12(15, 20) sts, dc3tog, dc in the next 20(23, 28) sts, dc3tog, dc in the next 12(15, 20) sts, dc3tog, dc in the last 18(20, 23) sts. Turn. (74(86, 106 sts) Size 4/6: Break yarn. Go to Contrast Row Instructions below. Other sizes continue with Row 9. Row 9 (Sizes 8/10 and 12/14 ONLY): CSDC, dc in the next X(18, 21) sts, dc3tog, dc in the next X(13, 18) sts, dc3tog, dc in the next X(21, 26) sts, dc3tog, dc in the next X(13, 18) sts, dc3tog, dc in the last X(8, 10) sts. Turn. (X(78, 98 sts) Size 8/10: Break yarn. Go to Contrast Row Instructions below. Size 12/14 continue with Row 10 – 11. Rounds 4 – 20(23, 27): Repeat Rounds 2 – 3, decreasing by 1 st on each even numbered row, so that and the end of Round 20(23, 27) you’ll have 25(28, 32) sts. After last row, break yarn and seamless join to 2nd st of the round. Cuff Instructions: To be added to the end of each sleeve, all sizes. Round 4: With Color E, repeat previous round. (25(28, 32) sts) Weave in ends. With Color A, join to RS front opening at the bottom of the skirt with a sl st. Sc evenly up the side, sc in BLO around the neck opening, and sc down the other side, leaving the bottom of the skirt un-edged. Sew buttons to sweater so that they fit between dc sts of the yoke, as desired. As opposed to fixed button holes, this will allow for a more adjustable fit as the child grows! I have to give a big thank you to my youngest son for being a delightful model and fitting dummy for me! If only I had been able to get him to try it on over something other than a bright orange dinosaur t-shirt… oh well, I think you get the idea. I haven’t made the Medium or Large yet myself, so if you spot any errors in the pattern please do let me know! I made this sweater in the toddler size. Loved the pattern. Easy to follow. I made it in fall colors and I think it came out great. Will save this pattern for when the little ones get bigger. Thanks for designing it for the larger size. Eagerly awaiting the adult size……. figuring…I thought , how thoughtful and kind of you to make it free for all to enjoy. I must say, Im in awe……..When I first saw the sweater I thought it was sooo beautiful….I hope to make it for my youngest grand daughter……….. Thank you again and may your blessing by two fold. 😀 Thank you so much Pat! Me too. Really want an adult version of this pattern. 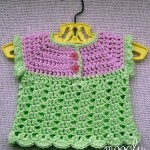 I have no little girls to crochet for and love the style of this pattern. Yes, eagerly waiting for the adult size. My baby girl is in a 14/16 and will be moving to a larger size (adult small probably) by this fall. I am working on the 4-6 size and I’m having trouble following directions for Row 2 of the yoke. Trying to visualize where this row is going. A picture of this row would be great to have. Is there a tutorial for the yoke? I’m afraid there’s not a tutorial for this specific yoke. However, this yoke tutorial shows the same yoke, just worked in the opposite direction. Love this sweater pattern. Thank you for sharing. Will be making this for a few of my granddaughters and also to donate. Dear Tamara, I’m a big fan of the BLO technique. 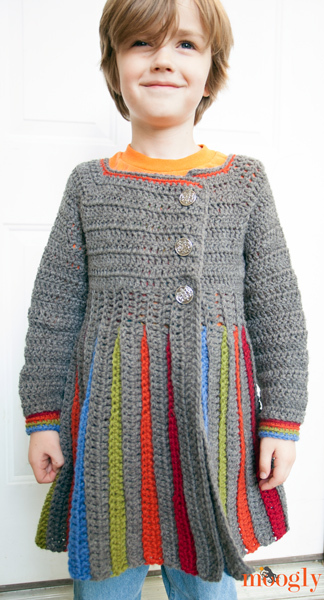 I like this pattern so much, I wonder if it could be made in Adult size? 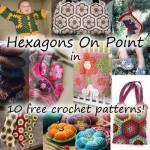 Thank you for sharing your patterns, I eagerly wait to see posts! I like your style. Thank you Gigi! I’m hoping to work up an adult version in the future. Adult women come in SO many different sizes though, it’ll take a little while and some work to come up with a solid pattern. i was just saying to myself – i wish the pattern came in adult sizes. It’s so cute. Definitely needed in BIG sizes–as in Women’s sizes. The sweater is adorable. I can’t wait to see it made larger. 😀 Thank you Margie! I’ve never written a women’s sweater pattern before, but I’m going to learn for this! I’d love it in a women’s sweater as well! I AGREE! I’ve been following all these posts for small sizes hoping someone would mention PLUS sizes! Here is another vote for more adult sizes!! Thank you for sharing. blessings for generosity. Is it bad that as much as I want to make this for my niece, I want to make this for myself even more? 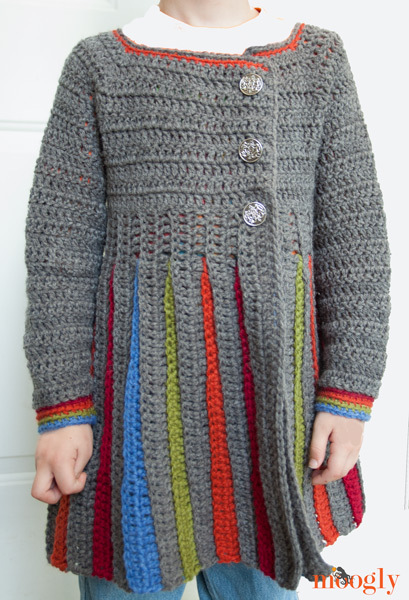 If I could find this same pattern in my size…I’d put all of my other projects on hold. Help! I have attempted this sweater in small girls size and also in size 2. The stitches are new to me. I am used doing the regular chain 2 and then turning to a new row. Can you make a video on how to do either the small girls sweater or the babies size? Thank you and God bless you for this beautiful pattern. Hi Jo Ann! The ch 2 and turn work perfectly well if you don’t want to use the CSDC and STDC. There are videos for those stitches linked in the notes above the pattern though. Basically the skirt is worked back and forth in rows, and the top is worked like the ones seen in this video, but in reverse (bottom up rather than top down): https://www.mooglyblog.com/tutorial-armholes-top-down-crochet-baby-sweater/ Videotaping the entire sweater would be a LONG video haha, but I might be able to do an overview video if you’re still having trouble! I will try again but i think with the ch 3 turn and BLO, the part that is confusing is sometimes it is 33 chains and sometimes 32 and sometimes says less, and it says to leave a loop and it just confuses me. i am used to if it is 33, then, it will stay 33 unless increases or decreasing. i do no understand the part that says (remove the hook from the loop) on row 2 and i ended up with uneven rows that was taller in the beginning and shorter the farther i went. The uneven rows that are taller and then shorter is what creates the pleated look. When working the rows of contrast color, you’re not working into all the stitches of the main color. Basically you’re inserting triangles between rectangles. You remove the hook from the main color to work the contrast color triangles, and then when each triangle is done you put the hook back in the active loop of the main color so you can continue working with it without having to cut the yarn and reattach it. Does that help? The contrasting colors? I do cut those. The main color doesn’t get cut because it wouldn’t need to be carried. I know some who’ve used just one color for the contrast have carried it along the inside, but cutting and weaving might be easier. Could you send me the pattern for a 1 yr old and a 2 yr old also. I am making your pattern for the hanging vase and then i will try the sweater again. I am making it not as a vast though but a water bottle carrier for camping. Hola! primero que nada quisiera saludarte y felicitarte por tan bello sueter, gracias por compartir. Queria hacerte una pregunta, estoy tratando de traducirlo al español pero me encontre con: dc3tog y no se que significa, quisiera hacerle el sueter a mi hija, que ya comenzo el frio, pero no se que se indica con ese dc3tog, me podrias ayudar por favor. dc3tog es doble crochet 3 juntos – como una disminución de crochet doble, pero con 3 puntos de sutura en lugar de 2. Espero que ayude! Mil gracias!!! que tengas un feliz dia!!! Hola de nuevo! queria corroborar la informacion, si entendi bien, es una disminucion de 3 en vez de 2? o es que debo hacer 3 puntos en un solo punto? estoy enredada!! Disculpa!!!! Debo entender perfectamente todo antes de comenzar, gracias de nuevo y disculpa tantas molestias! You are beyond awesome! Thank you, so much, for sharing this beautiful design free of charge! God bless you! I am very excited about making this sweater for my girls. I have a quesiton. I’ve found all of the colors that I want, but the yarn is cotton. In your opinion, do you think cotton would be a good idea for this pattern, or should I find a different fiber? I have 4 sweaters to make so I am trying to stay as cost effective as I can. The only concern with cotton I have is weight. Cotton is a bit heavier than wool or wool blends, so you’re going to have more weight on the stitches. If you work linked double crochets in the skirt, and maybe even in the top, you should be okay. Yes, that was a concern of mine too. I think I’m going to see if I can find the colors I want in a different fiber. Thanks!! Quais as medidas para 3anos? Why not Women’s sizes. I would love to have one of these!! I hope to someday Leslie! I’m only one person lol. Beautiful sweater! I would absolutely wear this if it could be made in adult size. Just my luck, All my grandkids are boys so far. PLEASE OH PLEASE make instructions for adult size! Hi, I have made this pattern and it came out great but unfortunately my niece is a little bit bigger than I expected, so I’m going to take it apart and do as you suggested in the beginning for children that have larger chest sizes. I’m pretty good at following patterns but when it comes to free styling and designing my own, I’m at a lost. I’m not giving the gift until April so I want to leave a little wiggle room for her just in case she grows. Right now she’s a size child’s 14; any suggestions? it wasn’t easy to translate but I did it (size (m) and I think it’s beautiful, thank you for the pattern !!! This is exactly what I am looking for – for myself! Plus size. <3 Thank you so much for telling your story Cheryl! Happy holidays to you too! I’m at the part of the pattern where you start the yoke, do I end the yarn before beginning the yoke? I have tried this part twice to no avail,does not look right. Help!!!! No, you don’t have to break the yarn to begin the yoke. Just spin the skirt to work into the narrower (all Color A) side. You can use stitch markers to help get the sts in there evenly. Hello Tamara, love this pattern. I am obviously an idoit, I keep trying to print the pattern and it is printing all the ads over the pattern. I don’t read Dutch or German well? Do you have a PDF copy in English that I am missing? This is a beautiful pattern thank you for sharing. Are you using the green Print Friendly button? If so, you can click on the parts you don’t want to print and they’ll be “deleted” from the print copy. The ads shouldn’t show up on that version though, and there’s also a PDF option there after you click the Print Friendly button. Hi Tamra! I’m working on the 4/6 pattern for my daughter and am almost finished with the skirt, looking ahead to the waist. It seems like there will be about 42 rows for the skirt (82 rows total, minus 20 stripes at 2 rows each, so minus 40 rows, leaving 42 dc rows), and I’m supposed to stitch 92 single crochets for the waist evenly. What I’m wondering is how to do this evenly? 2 sc in each dc row would give me 84 sc, so I need to add 8 in somewhere. Am I overthinking? I’m already terrible at turning my work 90 degrees because I just don’t know where to place my stitches! Can you help? Thank you so much! That is such a clever idea and makes perfect sense. I am so excited to finish this up! Love this pattern so much, it is so unique. I await your release of the pattern in adult sizes very eagerly. This is just what me and my daughter are looking for! There are so few WARM crochet sweaters in her size (10) and until this point she only liked one. I can’t wait to get started on this! Please reply to this post (I’ve subscribed) when you have the adult pattern worked out. Is it possible that when you do, you’ll have plus sizes worked out as well? That would be SO awesome! I hope so! It’s a little overwhelming, and I plan on actually taking a class to help me make it the best design I can. I love this sweater. I just finished making it for my 5 year old granddaughter. I’d love to share a photo. Can I do that? “In Spanish, Please” That’s what it says. Has anyone made a knitting pattern for this? Desperate to try, don’t know enough about crochet to translate! Not yet I’m afraid! Someday I hope to, but I’m a dreadfully slow knitter. 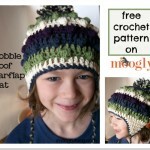 I love this pattern, and am about to give it a go for my older daughter. I was just wondering if it will work in cotton? My daughter is really fussy about wearing wool and I’m not sure that I want to put the effort in for her not to wear it!!! Hi Catherine! Thank you! I think so, but you might want to use the linked stitches suggestion, to combat too much weight pulling it down. Hi Judy! When you ch 29 and skip the 8 there will be plenty of room there, no folding required. 🙂 Just ch 29, skip 8 sts, and dc into the next st. I am new to crocheting and find that I can easily follow instructions. However, I have confused at the yoke were is say to dc 25, skip 7 , ch 26. Do you chain 26 before you skip the 7 stitches? OMG. Please make a pattern for grown ups! 😉 So adorable. I’ve got all boys, but my friend is having a girl in September. I’m totally making the baby one for her. But I would most definitely make one for myself and wear it if there were grown up sizes. But alas all women’s bodies are different. It might be hard to make a pattern for them. Thanks so much Samantha! I do have a few ideas for making a grown up version – I hope to get the time and courage to work one up soon! I made Eloise sweater size 4/6…..the top turned out WAY too big for my little girl who is 6….Any ideas on how to make it smaller? Love the pattern by the way!!! Thank you Laurie! If you’re getting gauge, then you might want to check out the 3T size on the Eloise Baby Sweater: https://www.mooglyblog.com/eloise-baby-sweater/ Otherwise, you might be off on gauge, and want to try a smaller hook! Substituting yarns can also have an effect…hopefully she now has one to grow into! OK Thanx…I will try a smaller hook first…the gauge came out right….Right now it will be easier to use a smaller hook…The waist is perfect…..it’s just too big in the chest…So I will use a smaller hook at the upper part!! Thank you so much for the beautiful pattern! Like many others have said, I really would love love love to have this in adult size! Tamara, what does CSDC refers to? 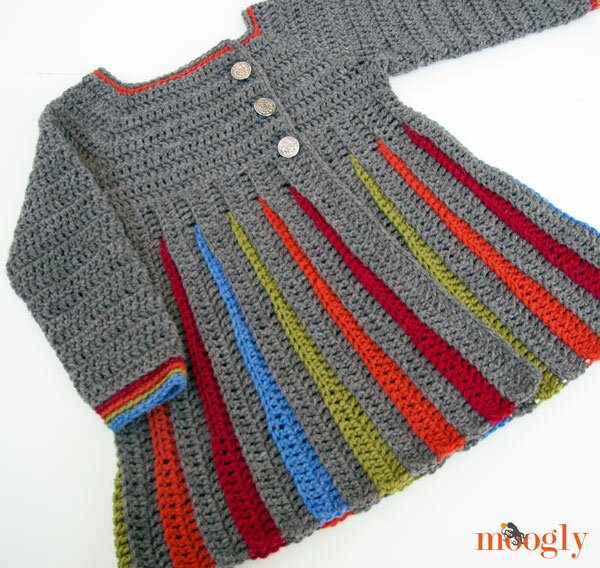 Love this pattern- please let me know when you have the “BIG” girls version LOL! I love this design and I’m totaly doing it for my 3 girls and without the skirt (just add some body) for my 3 boys! 😀 I’d love to see a picture Noël! My contact info is at the top of the website if you’d like to email me! 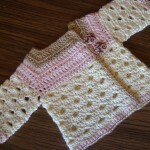 I am working on this sweater for my Granddaughter. It is turning out very cute. Except I am using an Oxford Grey for the main color and a blush heather for the stripes. So far it is looking very pretty. However I am kind of stuck on the end of the sleeves. I have no idea on how to cut yarn and seamless join. If you could send me instructions on how to do this I would greatly appreciate it. Thanks! I am a huge fan if your work and I am currently making the 18 month size. I really love it. I’m making them in alternating colors for twin girls. I will share pics when I finish them. I was actually thinking if fiddling with the girls size to make one for myself. If I am successful would you like my notes? It won’t be for probably a month or so but it’s on my list. My niece also wants one to as well as my little sis for my other niece. Lol! I have a lot if them to make. Thank you for your pattern. 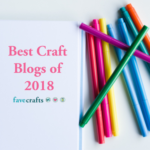 It is adorable and so easy to make so far. I love how the MC is carried do I only have to cut the contrasting colors. I’d love them Jessica, thanks! I hope to develop one myself, but it keeps getting put off for other projects… I’m so glad you like the pattern! Barbara from Manchester again – love this swirly sweater thought of my grandgirl instantly!!! I couldn’t wait to start, as soon as my 4 year old was busy terrorizing her Daddy, I laid out all my supplies. A little hiccup with row 3, back on tract and looking good. I’m excited to see how mine turns out. I doesn’t make sense to me. What are the 44 ch for? and when I continue, it doesnt fit in anyway. Hello Helene! I can’t seem to figure out where in the pattern you are. Turn 70 dc and 44 ch isn’t part of the skirt instuctions, and I can’t seem to find it in the yoke instructions either. Do you have the Eloise Girls Sweater pattern also for adults? I am new at crocheting but i do know the basics. i am dying to make this for my years old daughter. But i don’t understand some points. I’ll be grateful if you help. Thank you for the hard work to create this pattern. I am now going to make this in pink and lilac for my granddaughter who will only wear those two colours. Thank you Joanna! I would go by the chest measurement, or a size larger. Hi! On the rows where it says BLO, does that mean for the whole row?? Thanks!!! Oops! Good thing I only got to row 7. How do you think this would work in an Aran worsted cotton? Should be pretty similar! 🙂 A bit heavier maybe. 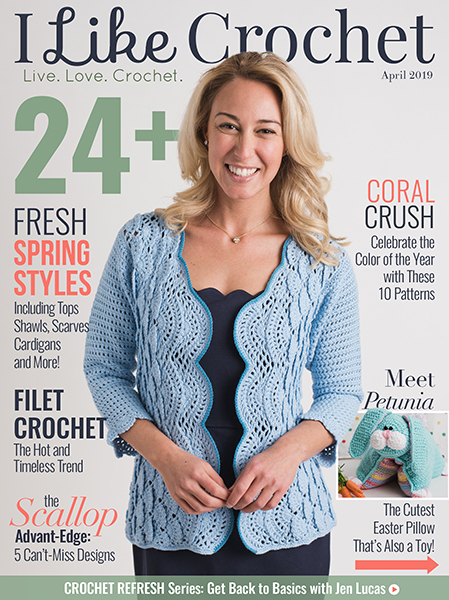 This is so fabulous it ALMOST inspires me to learn crochet (I’m a knitter, saw the pattern in the Lion Yarn “new patterns” newsletter. The incentive is… my little grandniece the tomboy would never wear it, but I’m 5 ft tall, 100 pounds, and bet the Girls size L would fit me!! Just beautiful. 😀 Thank you so much Maddy! It was so much fun to make, thank you thank you thank you! 😀 Thank you so much Lori!! “(Note: Larger sizes may wish to work the dc sts in Color A as linked dc rather than regular dc – this will help make the skirt more sturdy and deal with the weight better)” However the video for the “linked dc” talks about a linked treble crochet… I got a bit confused. Are they one and the same? Also, if I give you my daughter’s measurements (just let me know which measurements I would need to provide), could you help me select the size I should crochet? She is 6, but very tall and lean, so I wasn’t sure if I should do the 4/6 and add a few waist rows, or just do the size 8/10? The linked dc and linked tr are two different stitches, but the technique is the same – using the bar in the middle for the yarn over. I have a question about the sleeves. Row 2 says to ch 2, dc2tog then Dc around and then sl st into first stitch. Is the ch2 or the dc2tog the first stitch? 😀 Thank you so much Amanda, I’m so glad to hear it! 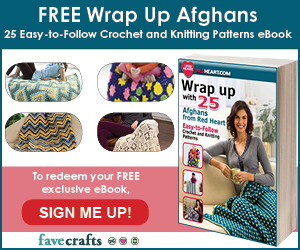 Have you made an adult pattern yet? I’m afraid the adult size is still in the works! ciao….io non capisco quasi nulla in inglese, ma mi piace mooooooooooooolto questo abitino!!! qualcosa ho capito…faccio molta fatica ma ci voglio provare!!! non è che magari si può avere un aiuto in italiano????? Ok this might sound silly but I have trouble with doing a FDC always have for some reason, could I start with a foundation chain or will this affect the way the sweater crochet up, I love this sweater and want to make it for my daughter. You can absolutely start this one with a regular chain if you prefer. 🙂 Thank you! Love this sweater! I’m about to start making it for a friend’s daughter. Both she and my sister have asked if I can adjust to fit them! I’ll keep watching to see if an adult version is added…..please! Pretty please! I made this in the large for my niece. It turned out beautifully!! I used the connected double crochet throughout except with the color changes in the skirt but I think I will use it there next time as well. As you can expect, this left no button holes but I used snaps and crocheted faux buttons to coordinate with it! I entered it in the county fair and won 2nd place! My niece loves it and looks gorgeous in it! Would love to send you a picture of it. 🙂 Thank you so much Gina! 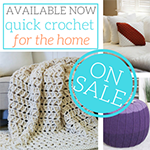 ♥♥♥ I’m so sorry for your loss, and so glad you are able to find a way to cope with crochet. Hi Ms. Tamara, I love this pattern as many also do. I stuck on the 40 chains. Don’t know what to do next. Please help!! It’s a chainless starting double crochet. She has a link to teach you how to do it. Once you get the hang of it, it’s fun and looks a lot better than the turning chain 3!! Hello Millie! Can you tell me what row you are on? I’m making the 4-6 size. Starting the sleeve it says to crochet 35 DC. I have more than 35 stitches. All my counts are correct. 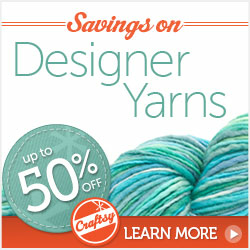 are you saying don’t crochet in every stitch just to put 35 DC’S? I just wanted to say thank you for designing and posting this sweater. I made it for a little girl whom I babysit and she absolutely loved it. Thanks for being a part of her 5th birthday! Thank you so much Dannye! I’m so glad to hear it. 😀 Happy birthday to her! Love this design! I have a new (to me) step-granddaughter who is 3-1/2, and when I saw this I knew I had to make it for her. I’m just starting on the “yoke” section, and am making a slight change to your pattern. I’m hoping this has your approval. Instead of chaining 26, I’m doing those stitches in FDC. This way, I won’t have to stitch into the chains in the next round. I used this technique in another pattern, and it came out very nicely. 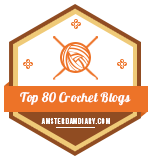 (Can you tell that I hate crocheting into chain stitches?) I realize that I might have to make some sort of adjustment, as this technique adds another section of dc where the chains would have been, but hopefully it will all work out. Thanks again for your design and pattern. I hope I haven’t offended you by making a change. I am loving this pattern but I have one spot I am wondering about. When you turn your work for the waist rows 2and 3 confuse me. “Rows 2 – 3(5, 7): CSDC, dc in the next 91(99, 111) sts across. Turn. 92(100, 112) sts)” . How do you do 7 CSDC in a row? Is there something I am missing? Help!!! The numbers in parentheses here refer to the different sizes and their row counts. So for example, in the smallest size this is the instruction for Rows 2 and 3, whereas for the largest size it’s the instruction for Rows 2 through 7. Does that help? I really want to do this but I can’t even start. How many do I chain? Am I just being thick? How about a woman’s size, and mid-calf length. I’d be willing to test this! Ah, so a longer coat! Great take – I think that’s the way to go! Me too!!!!! I would love to have one!!!! I want to post a picture of it here but can’t figure out how to. I’m so glad you like it Lois! Unfortunately, I don’t have the ability to have photos in comments, but if you would like to share it to the Moogly Facebook page or send me an email at [email protected], that would be wonderful! I had to go reread the pattern a few times to remember! I believe it’s because of which direction you end up working that row – the front sections are different sizes, overlapping to the side rather than down the middle – so for the smallest size you’re starting at the wider side, and for the other sizes you’re starting at the narrower side. Does that make sense?